Since this is the last Sunday in February, I thought this would be a good to check in on the TBR Triple Dog Dare. Did you take the dare this year? How are you doing? I’m pleased to say that the TBR Dare has pushed me to finally re-read Charles Dickens novel Our Mutual Friend, his last completed novel. It’s been in my TBR bookshelf for many years now waiting patiently. I’ve read several other books that have been sitting there for years now. Some I enjoyed greatly, a few I didn’t, but I did finally get around to reading them. I can’t say that I’ve held back on purchasing books, though. At all. In fact, I may end up with just as many books in my TBR bookcase as I had when I started, but that’s okay. I’ll be culling, seriously culling, that particular bookcase at the end of March with the TBR Triple Dog Dare ends. 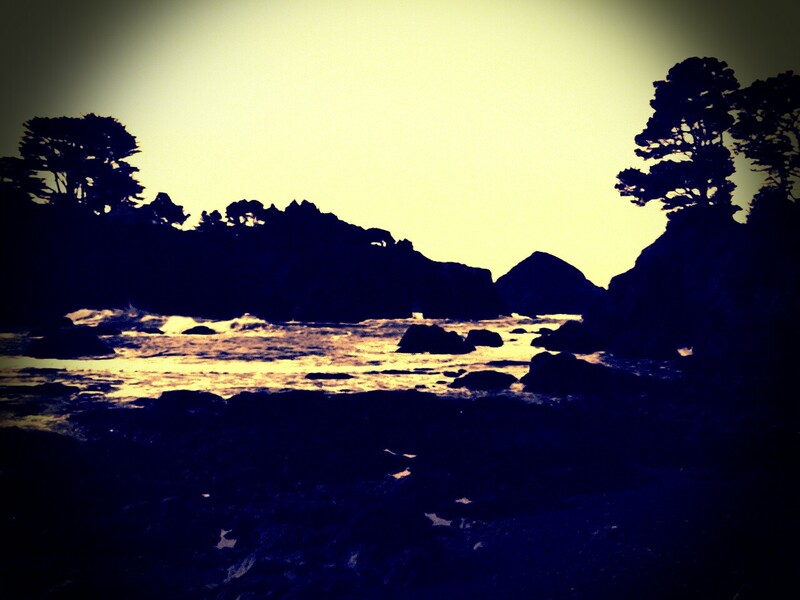 My trip to Mendocino this week did not help. Between Mendocino and Fort Bragg, and a brief stop in Ukiah on the drive back home, I found six bookstores and bought books in three of them. 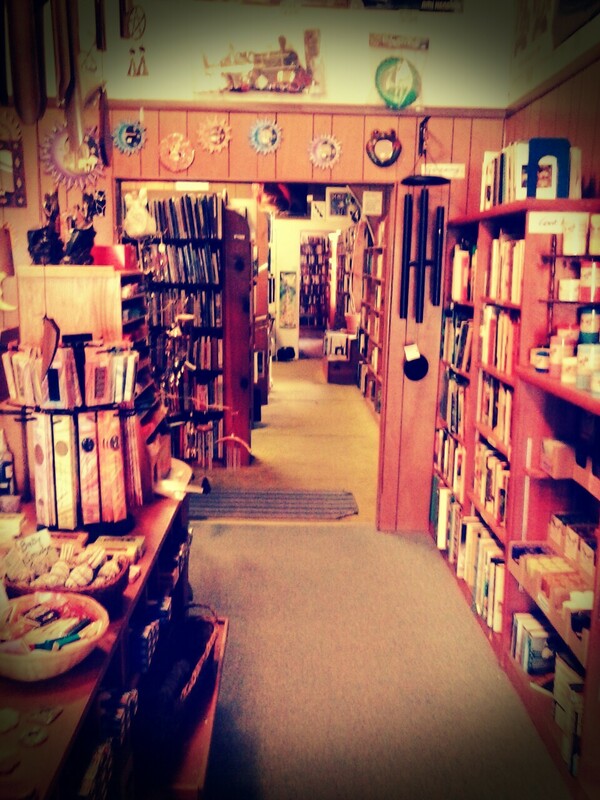 My favorite was Windsong Books in Fort Bragg. The guy who runs Windsong Books is something of a former hippie; he stocks his store with buttons, bumper stickers and posters that would feel right at home in a Berkeley head shop circa 1985. He also has lots of very good books, plenty of NYRB and Europa Editions, both of which I collect. Wind Songbooks is nextdoor to Eggheads, a breakfast and lunch restaurant with a Wizard of Oz theme. Delicious breakfast products many of them vegetarian and/or gluten free. (I love both vegetables and gluten so I can choose items from all over the menu.) Should you ever find yourself in Fort Bragg go there, and when you do go to the bathroom. To get to the bathroom at Eggheads, you have to follow the yellow brick road which is painted on the floor of the restaurant and leads you through the kitchen, out the back door, through the parking lot to the Emerald City, which is the building that holds the bathroom. The bathroom is clean but plain, but the walls of the buildings along the way are painted with Oz themed murals. Eggheads and Wind Song Books are both my kind of place. Mendocino, which is familiar to fans of Murder She Wrote as Cabot Cove the home of Jessica Fletcher, is a beautiful little town kept locked in time by a city council obsessed with preservation. Good for them. The result is a charming town if a very, very expensive one. I did find a copy of the new Simenon series Penguin is publishing at Gallery Books in Mendocino. Penguin is re-printing all 75 of Simenon’s Maigret novels, one per month, over the next six plus years. I’m going to talk to my local bookseller at Bookshop Benicia and see if she can set up a sort of subscription for me. One Maigret novel per month for years to come….something to live for. Later today C.J.and I are off to San Francisco where a friend of ours is showing his paintings at Sweet Inspirations, a wonderful dessert/coffee place in the Castro. He’s going to be showing the painting that makes up the heading for this blog. (See above). The full painting is wonderful, I’ve already seen it, much larger than the small section I’ve used. Dakota is in the bottom right corner of the scene. I’ll try to get a few pictures to post next Sunday. We will be going by Aardvark Books on Church Street on the way. It’s a wonderful bookstore, lots of great titles and very good used book prices….. I am doing pretty well so far with the Dare. I’ve bought some books, but not as many as I’ve crossed off the list – and as usual I’ve found it energizing to clear out books that, realistically, I know I won’t read (or re-read). I’m not spending as much time in bookstores as usual. Well I don’t want to keep people away from bookstores, but I’m glad to hear your benefiting from the Dare. I’m holding off on the big cull, but I’m already feeling anxious to get rid of the books I’m just never going to read or re-read, too. I’m having a great time with the TBR Dare this year, reading mostly from the virtual shelf on my kindle. Like you, I also seem to be adding just as many new books… but that’s part of the fun. Feeling a little under the weather today and may take a one day holiday from the dare to read a novella by Jojo Moyes. Glad to hear you’re having fun with the Dare. Enjoy Jojo Moyes and feel better soon. I’m so pleased I’ve stuck to the TBR Dare this year and have read books that have been sitting on my actual as well as virtual shelves for ages. I gave up on not buying books on 5 February and have bought a few this month, but not as many as the TBRs I’ve read.So, I’m determined to last out until the end of February and see how I feel in March. I like Lakesidemusings’ idea of having a holiday from the dare, but I hope I can last out until April 1. Margaret, It’s great to have something like the TBR Dare to get us to finally read so many books we always meant to read. There’s just over 30 days to go until April 1. I think if you’ve make it to the end of February, you’ll make it to the end. I haven’t bought any books but I’ve been busy and haven’t knocked out a bunch of books or anything. I’m reading Terry Pratchett Discworld books mostly, along with book club stuff. But it’s nice to know I”m not adding to my list and getting to things I’ve always meant to. There’s still a month to go…. I did not see this post earlier because I did know know you had moved your blog. Now I am subscribed by email so I will get notified of your posts. I have done very well on the TBR Dare. Strictly sticking to my own TBR books, except for a few ARCs I had committed to before I joined the Dare. I like it because now I have a few books I have bought that I am eager to get to in April. Or May or June. I’m glad you found me, and that your enjoying the TBR Dare.